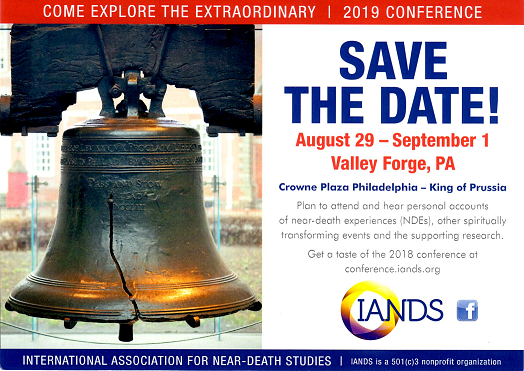 Exploring the Integration of Near-Death Experience Aftereffects: Summary of Findings • Ryan A. Rominger, Ph.D. Double Vision: The Divided Self in Near-Death Experiences and Postmodernism • Raymond L. M. Lee, Ph.D.
Book Review: Parapsychology and the Skeptics: A Scientific Argument for the Existence of ESP, by Chris Carter • Reviewed by Nancy L. Zingrone, Ph.D. Guest Editorial: The Search for Muslim Near-Death Experiences • Joel Ibrahim Kreps, M.D. Terminal Lucidity in People with Mental Illness and Other Mental Disability: An Overview and Implications for Possible Explanatory Models • Michael Nahm, Ph.D.
Book Review: The Natural Soul, by Barbara Harris Whitfield • Reviewed by Bruce Greyson, M.D. Letters to the Editor • P. M. H. Atwater, L.H.D. • Roberta Moore, M.A., M.B.A. • Yvonne Kason, M.D. Guest Editorial: The Search for God and Afterlife in the Age of Science • Ken R. Vincent, Ed.D. Online Resources for the History of Out-of-Body Experiences and Death-Related Phenomena • Carlos S. Alvarado, Ph.D.
Book Review: Signs: A New Approach to Coincidence, Synchronicity, Guidance, Life, Purpose, and God's Plan, by Robert Perry • Reviewed by Bruce Greyson, M.D. Response to "Corroborating of the Dentures Anecdote Involving Veridical Perception in a Near-Death Experience" • Gerald M. Woerlee, M.B.B.S., F.R.C.A. Rejoinder to "Response to 'Corroboration of the Dentures Anecdote Involving Veridical Perception in a Near-Death Experience'" • Rudolf H. Smit & Titus Rivas, M.A., M.Sc. Book Review: The Art of Dying, by Peter Fenwick & Elizabeth Fenwick, and Into the Light, by John Lerma • Reviewed by Dan Punzak, P.E. Book Review: The Handbook of Near-Death Experiences: Thirty Years of Investigation, by Janice Miner Holden, Bruce Greyson, and Debbie James (Eds.). • Reviewed by Neal Grossman, Ph.D.
Book Review: The Handbook of Near-Death Experiences: Thirty Years of Investigation, by Janice Miner Holden, Bruce Greyson, and Debbie James (Eds.). • Reviewed by Ken R. Vincent, Ed.D. Letter to the Editor • Vince Migliore, B.A., L.V.